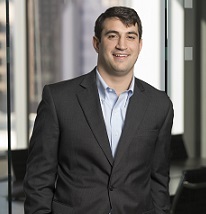 Harrison started as an analyst with Bourne Partners in 2017. Throughout his tenure at the firm, he has provided support on various M&A deals and asset divestitures. In addition to M&A advisory, Harrison also manages the firm’s coverage of the generic pharmaceutical sector. Prior to joining the firm, Harrison was a business analyst at Training The Street. Harrison received a B.A. in Economics from Davidson College. Outside of work, Harrison enjoys playing tennis, traveling to new destinations, and following collegiate and professional sports. He also volunteers for Big Brothers Big Sisters of America, a non-profit dedicated to matching children facing adversity with supportive mentors in the local community.